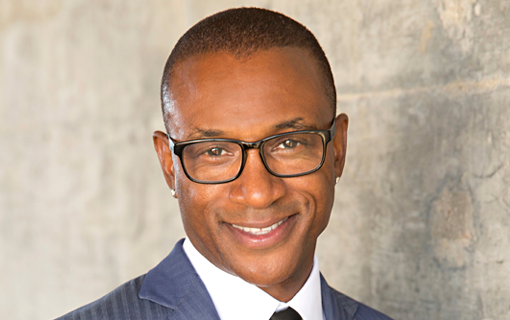 Tommy Davidson’s exceptional range – from stand-up comedy and acting to versatile music accomplishments – has earned him a reputation as an extraordinary performer. Best known as one of the stars of the hit television show In Living Color, his visibility has allowed him to become a household name known for his innovative talent. Davidson started his career as a standup comedian in Washington DC, earning an ardent following with relentless work in leading comedy clubs. As one of the cutting-edge, young stand-ups, he was spotted by major concert promoters who booked him as the opening act for A-list tours including Patti LaBelle, Kenny G and Luther Vandross. It wasn’t long before he came to Hollywood and was headlining at a number of clubs, including the Comedy Act Theatre, where he met Robert Townsend. This led to his first national television appearance with a starring role in Partners in Crime and was the conduit to Keenan Ivory Wayans, who proved instrumental in Davidson’s career by offering him an opportunity to audition and join the uniquely talented cast of the most adventurous primetime variety show on television, In Living Color. He, Jamie Foxx, Jim Carrey, Damon Wayans and David Alan Grier made TV history. Tommy’s impressive film debut was opposite Halle Berry in Strictly Business. This led to numerous feature film roles from Spike Lee’s Bamboozled, where he received acclaim and praise for his turn as “Womack/Sleep ‘N Eats,” to Juwanna Mann (Morgan Creek Productions’) and the pivotal cameo in Jim Carrey’s Ace Ventura II: When Nature Calls, which has since become a cult favorite. Davidson’s hilarious impressions of Sammy Davis Jr., Michael Jackson and other icons have become infamous. His dynamism on In Living Color led to three Showtime specials: On Strength of New York, Illin’ in Philly and Takin’ it to DC. His elasticity as a performer who delivers on both the big and small screen led to other opportunities like the lead in the Disney’s animated series, The Proud Family, as a host on FOX’s The NFL Show and as the lead in Will Smith’s animated series, Youngin’s.